I’m sat on my bedroom floor surrounded by utter chaos. Actually I’m sat right in it, in piles of clean clothes (and a few dirty ones) so I can keep my iPad on charge and write this quick unedited post while the kids are all content. I woke early today after a late night and dragged myself out of bed, the need for a bit of solitude greater than my need for sleep. Groggy and grumpy I sat with my bible and journal and tried to connect, it was hard going at first and I ended up flicking through an old journal and reading. What I found brought me to tears, I saw myself and my striving through an unusual lense of kindness and mercy, instead of my usual critical and ‘try harder’ lense. I saw how much I try and fail and try and fail to have everything together. I sensed the Fathers smile and warmth over me and my efforts to live in relationship with Him. I ditched my agenda and just sat accepting that I am loved just as I am, room full of chaos and all. Life has been really full recently. Full of trips, visitors, possibilities and challenges. Within it all I’ve lost any sense of rhythm and the care of my spiritual life, my home and my body have dissolved. Slowly and silently little foxes come in. I let worry and anxious thoughts run riot in my mind, I scroll mindlessly on my phone, I go to bed too late and sleep poorly, I speak and react without thinking, I don’t tidy properly and walk around my house in frustration at the chaos that is everywhere. Order leaves and clutter and chaos come and fill the void. Sometimes we try and climb the mountain and put all the good stuff back in before we clear out the bad… It never works. Sometimes a cleanse is needed. We all know it In a physical way after lots of partying or over eating our body needs a cleanse, our houses sometimes need a cleanse, a sping clean. So do our spirits. What does that look like? For me it looks like going to bed early so I can get up early. It looks like order and routine. It looks like ditching the internet on my phone. It looks like treating myself with kindness and mercy, taking it one day at a time and embracing the messy process. It looks like time outside and time alone. It looks like repentance and intentional thought towards my thoughts, words and decisions. It looks like love. It also looks like cleaning and decluttering my home and body, because we are one. Body, soul and spirit, mind, will and emotions. One affects the other. How about you? Is there an area in your life that feels like chaos and could do with a cleanse? If so pray, start slowly, embrace the process and be kind to yourself like you would a friend or your child if they were struggling. Reject overwhelm and just begin. I’m starting where I am. 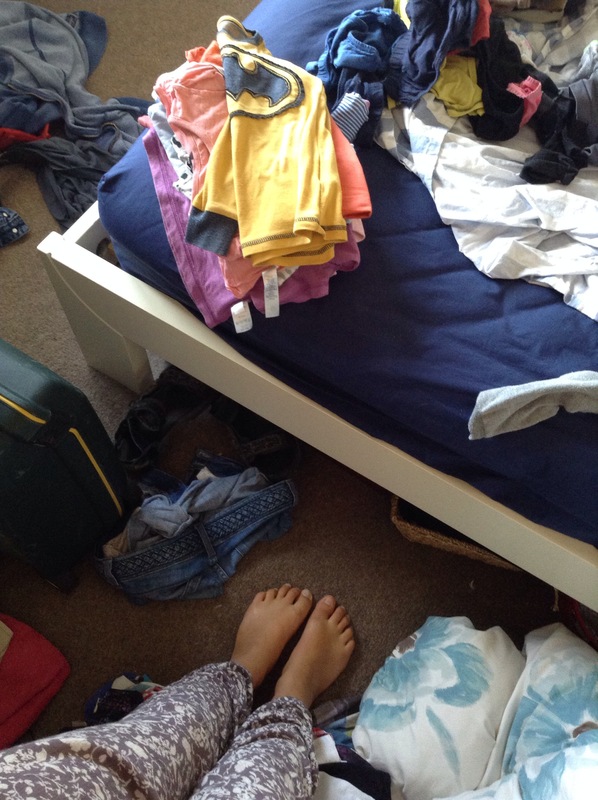 I’m starting with sorting and putting away clothes….